Gold is where you find it!!!! Written by Tim Rapp who is an award winning former U.S. Geological Survey Scientist, a published technical author, and a degreed engineer with 13+ years of professional experience collecting geologic data, samples and reporting on natural resources for U.S. Federal agencies, Municipalities, and Private Industry. He has training and experience in the fields of Hydrology, Geology, Physics, Chemistry, Cartography, Numerical Modeling, and Petroleum, Chemical, Civil, Mechanical, and Industrial Engineering. 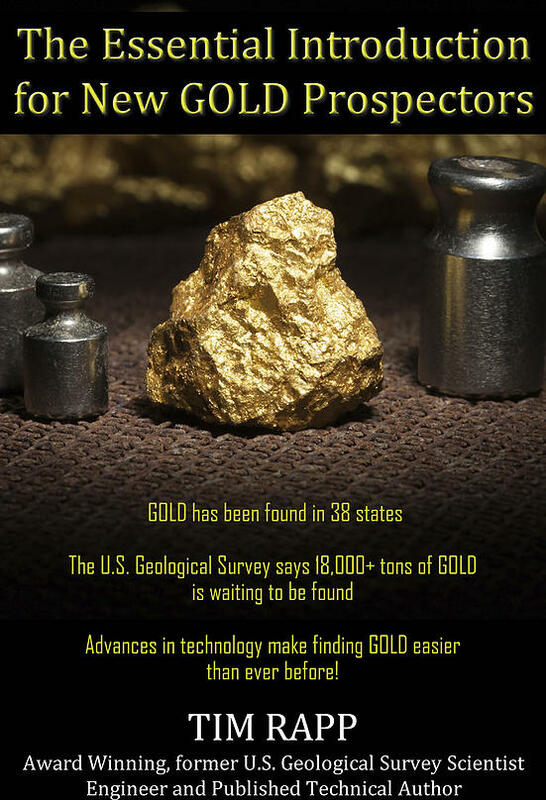 This book is packed with lots of technical information on geology, geologic maps and how to use them plus a whole lot more information that can help the modern day prospector locate and recover more gold. I find this book is essential for the beginner as well as the veteran prospector.